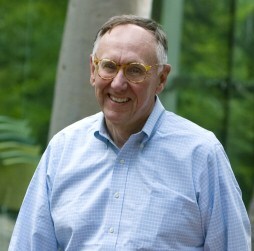 Redlands-based mapping software giant Esri, operated and founded by Redlands native Jack Dangermond, has made a major commitment to America’s K-12 and STEM (Science, Technology, Engineering and Mathematics) education efforts, pledging to provide $1 billion in mapping software to 100,000 U.S. schools. Esri announced on Tuesday that it will make its advanced mapping software ArcGIS available to K-12 schools across the country. Through the program, students will now have access to the cloud-based software — the same GIS technology used by governments and businesses — to map and analyze data. According to Forbes magazine, it all started when Dangermond met with President Obama a few months ago to discuss how Esri can contribute to the ConnectED Initiative, a program by the White House to help strengthen STEM education for K-12 students across the country. “I asked myself: ‘What’s the biggest idea that we can go for?’” Dangermond recalled in an interview with Forbes. As soon as he proposed that Esri would offer its software for free for every K-12 school in America, the President was immediately on board. “We thought this is a way to scale it up and bring GIS education to schools in the whole country,” Dangermond said. While bringing the mapping software to all the public K-12 schools is a big step forward, Esri has experimented with the initiative on a smaller scale over the past few years in different states. Students who benefited from the program have researched a wide array of topics, from mapping out health issues in Los Angeles to using demographic data to get Walmart products delivered to returning veterans, according to the billionaire.